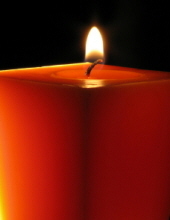 Virgil Wayne Towry, age 47, of Fayetteville, TN passed away on February 2, 2019 at Lincoln Medical Center. He was born in Lincoln County, TN on October 22, 1971 and was the son of the late Virgil and JoAnn Graves Towry. No services are planned at this time. Gallant-Riverview Funeral Home is serving the family of Virgil Wayne Towry. "Email Address" would like to share the life celebration of Virgil Wayne Towry. Click on the "link" to go to share a favorite memory or leave a condolence message for the family.